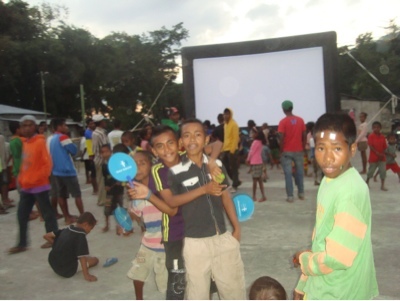 The screenings in the Ermera district were a great success with healthy crowds. 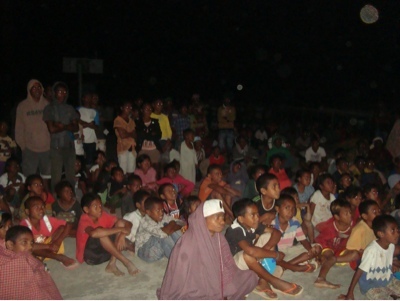 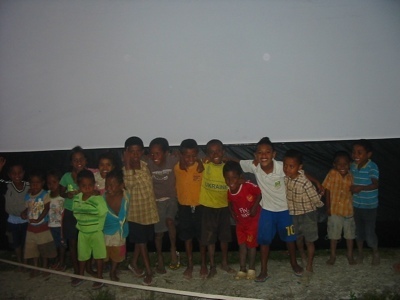 The local kids always enjoy seeing the screen blowing up and will gather around well before the film begins. 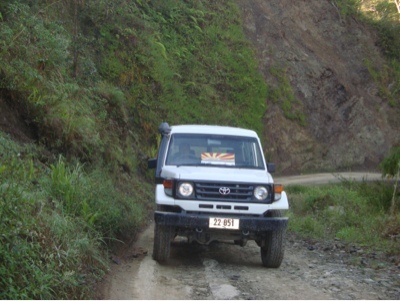 Our trusty Troopy from Rentlo, essential for driving through the hills of East Timor.